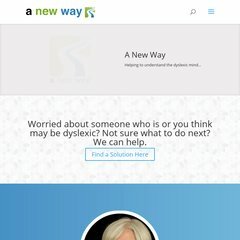 Topics: Assessing Dyslexia, Dyslexia Is The Business, Hands On Maths, A New Way, and Wordpress. It is written for PHP/5.3.8 language. It has 4 nameservers, including ns4.hu-dns.com, ns1.hu-dns.com, and ns2.hu-dns.com. It is hosted by Server Centre Uk Hosting (England, Derby,) using Apache web server. PING (93.174.141.52) 56(84) bytes of data.